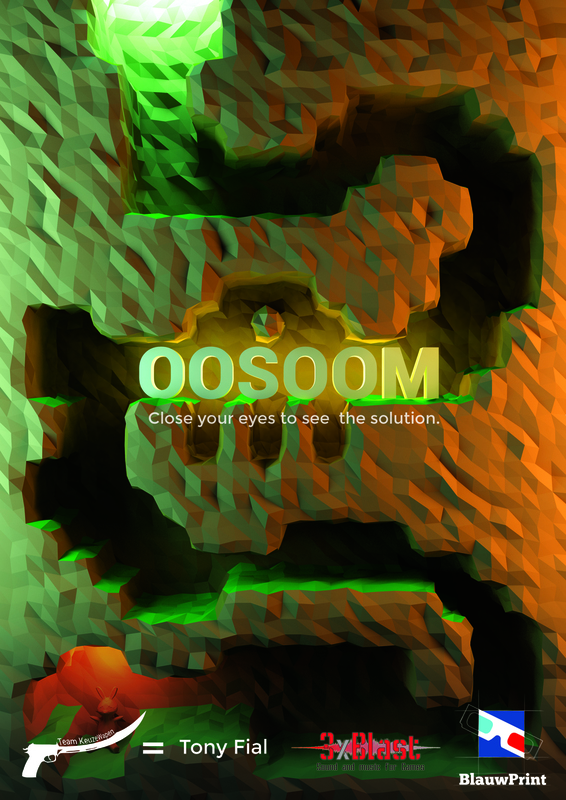 OOSOOM is a puzzle platformer in which you can close your eyes and cover your ears to make elements in the world, from boulders to entire chunks of earth, disappear. 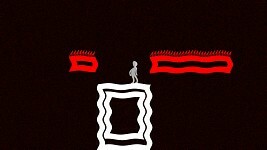 In this game, everything you don't perceive disappears. This means that objects you don't feel or hear disappear when you close your eyes. When you cover your ears, everything that normally makes a sound, stops moving. Except for nightmares, for they can't be influenced. The key to OOSOOM is logical thinking. 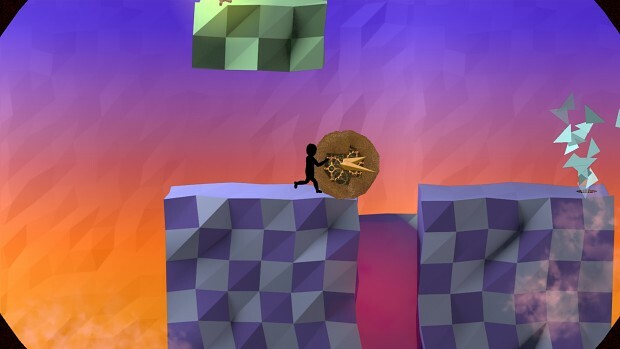 The puzzles are designed in such a way that it always makes sense in the game world, and that even players who aren't familiar with the puzzle genre can play the game. For those who like to go a step further, there's an extra goal for each level that makes it just a bit more challenging. 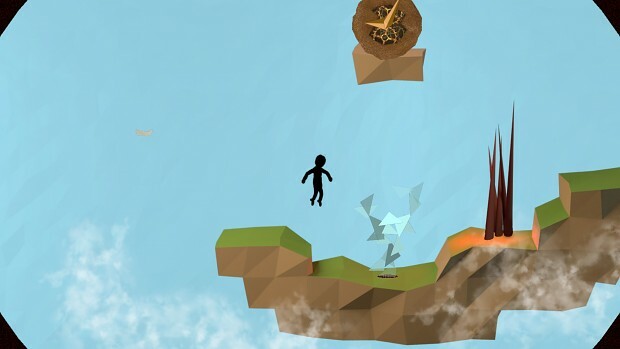 The game was created by BlauwPrint and 3xBlast during the Global Game Jam 2014 in Leeuwarden, NL, where it was awarded the first prize by the jury. Because of that it was also nominated for the Kleine Uil, the Dutch prize for best GGJ game of the year, and made it to the last five. Now it's been in active development for a couple of months and we're busy replacing graphical assets and creating lots of new levels for the game. A redo of the graphics, mainly to adjust everything to match the background style. This is currently underway, most things except for the main character have been redone! In OOSOOM, everything you don't perceive disappears. This means that objects you don't feel or hear disappear when you close your eyes. When you cover your ears, everything that normally makes a sound, stops moving. Except for nightmares, for they can't be influenced. For more information, please follow BlauwPrint and/or 3xBlast!